Penny Karma is based on the simple idea that a little generosity can go a long way. For more information about us and this concept of micro-donationing visit the Penny Karma page by clicking on the picture below or on the tab above. We met Rosa and her family through the Cooperativa Spanish School, a community oriented co-op that pays fair wages to their teachers, provides unique home stays, offers daily cultural immersions, and directly donates a percentage of tuition to local families and a primary school in need. (The school is also set in an absurdly tranquil tropical garden overlooking Lake Atitlan.) We quickly felt at home in the small Tz’utujiil Mayan village of San Pedro La Laguna. While the locals continue speak their Mayan mother tongue, they were taught Spanish as a second language in school and today have the opportunity to bring students into their homes. Nestled high on the hillside, tucked away from the village’s tourist infrastructure, we were welcomed into Momma Rosa’s family. Rosa’s casa consists of cinder block walls capped with a metal tin roof sheltering a few small bedrooms and a living room area. Adjoining their home to the two guest rooms is a cozy kitchen- a tiny room with a dining table and a wood burning stove. The neighborhood fills with campfire smoke every morning, afternoon, and night as people prepare their meals. Clothes are hand washed and dishes cleaned by Andrea, Rosa’s extraordinarily amiable daughter-in-law, in a washing station beside the family shower and just outside the kitchen door. Rosa’s gentle husband, Domingo, works high up in the mountains every day from 5AM till 5PM cultivating coffee, corn, and beans for food and to barter. The income of the house includes only the money obtained from home stays, occasional laundry services, and the modest retail jobs of the two eldest boys. 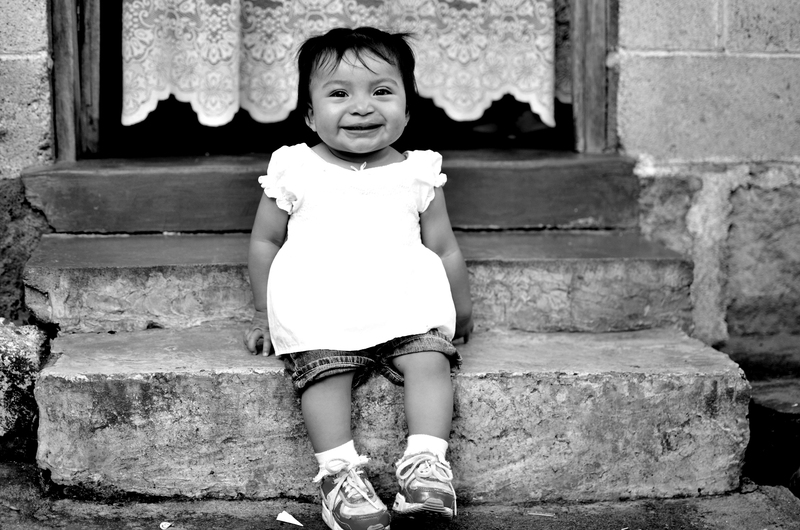 Flor de Maria, Andrea’s daughter, absorbed our attention from the first moment we met. 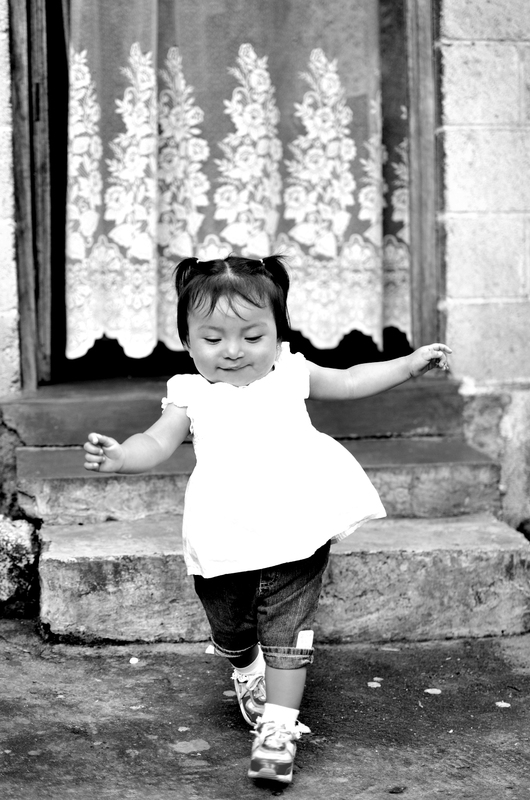 At just over a year, she actually learned to walk before our eyes. It’s hard to imagine a happier baby than Flor, always flashing us smiles in between her curious coos and wobbly steps around the kitchen as we savored our hand crafted meals. When we learned that she had not yet been photographed, we asked to do a photo shoot for the family as a token of appreciation. To our delight, and following a rainy trip to a neighboring village with a good photo shop, the photos came out better than we’d hoped. The anticipation of giving the first photographs of their beloved youngest family member was almost too much for us to handle and helped to foster this idea. 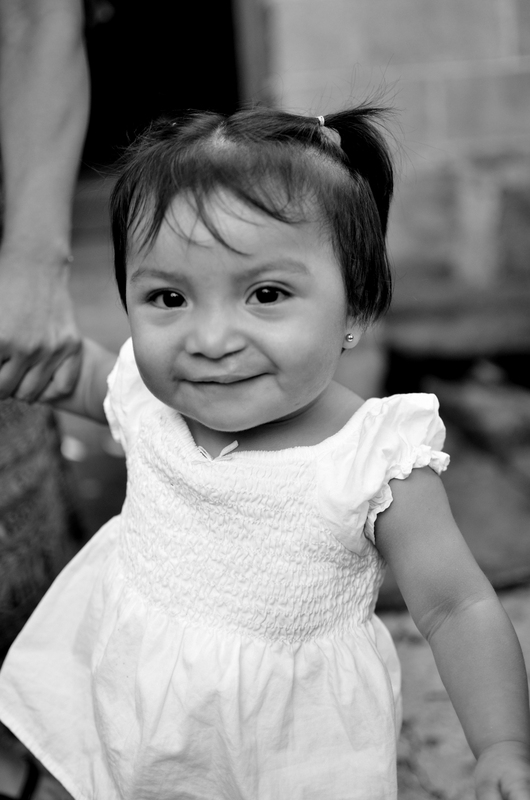 While baby Flor is clearly charming, the faint scar on her lip hints at our family’s current struggle. I’m sure everyone has at one time come across an ad for one of the many foundations that offer the common surgery for cleft lips and palates in undeveloped countries. 1 in 700 babies worldwide are born with the problem annually. In developed countries, the initial surgery is performed at 2-3 months. 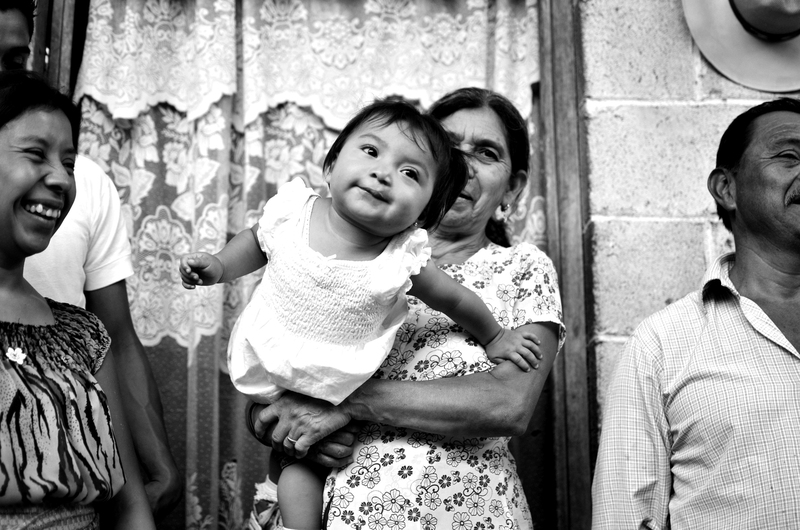 In Guatemala, where the disorder is more common both genetically and environmentally, babies often grow into children and even adults without adequate repair. The difficulty lies in their secondary complications with eating, speaking, and even hearing. As she hung our laundry on the roof one morning, Andrea explained the two surgeries in Flor’s future, one hopefully possible this upcoming September. In our world, this surgery likely costs the equivalent of our insurance co-pays. 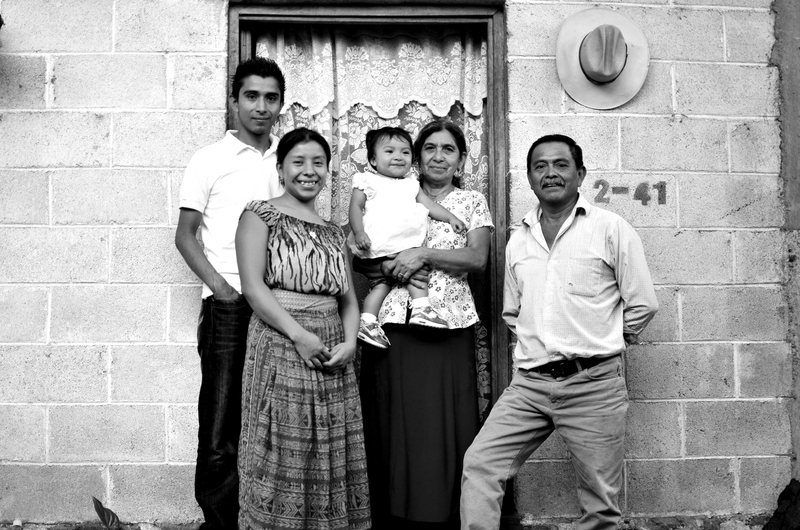 For a Mayan family busy preserving their strenuous way of life, Flor’s surgery will require incredibly careful budgeting, creativity, and crossed fingers. We have been researching foundations to back up our odds, and plan to send anything contributed over the month of July through a trusted teacher at the Cooperativa directly to the family. We know Rosa and her family will savor the generosity. For karma points, donate a dollar or spread the gospel. Currently with almost 700 followers the math is simple. Change is more than money.